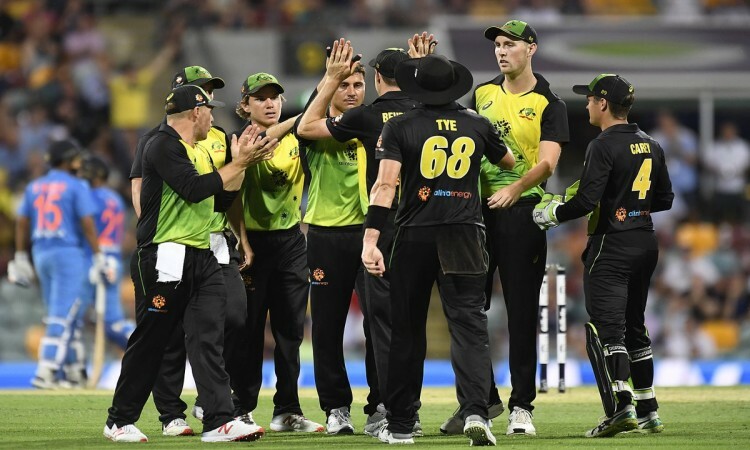 Melbourne, Nov 23 (CRICKETNMORE): Australia posted 132/7 in 19 overs before rain stopped play in the second T20 International against India at the Melbourne Cricket Ground (MCG) here on Friday. It seemed the visiting bowlers have learnt from their mistakes they committed in the previous game as the hosts were once tottering at 101/7 in 16 overs. However, pacer K Khaleel Ahmed was clobbered for 19 runs in the 18th over as Australia managed to reach a respectable total. However, with rain playing spoilsport again and again, the revised target for India based on the Duckworth-Lewis (D/L) method is yet to be decided.